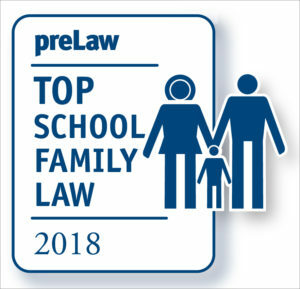 Drake University Law School received an A+ ranking for family law by preLaw magazine, placing Drake among the top three law schools in the nation for this field. The publication determined the ranking based on law schools’ offerings in family law, including clinical programs, certificates, externships, and courses. The results are featured in preLaw’s Fall 2018 issue. Drake Law School received bonus points for its work through the Joan and Lyle Middleton Center for Children’s Rights. Led by Professor Brent Pattison, the center strives to advance children’s rights and improve the child welfare system. Last year the Middleton Center helped end indiscriminate shackling of juveniles in Iowa courts. Drake Law students conducted research on the issue, while Pattison helped write the rule proposal with a coalition of community organizations. Pattison and students advocated for the rule at Iowa State Bar Association trainings, and the Iowa Supreme Court adopted the center’s proposal on Jan. 1. Students in the Middleton Center also worked on legislation to increase the confidentiality of juvenile court records. The result was a wave of changes to the Iowa Code that will make it easier for young people to avoid collateral consequences of their involvement in juvenile court. Additionally, Drake Law students wrote summaries of important Court of Appeals opinions related to child welfare and presented the cases to juvenile court judges in Iowa. The students also led “Know your Rights” presentations for youth in juvenile court through the nonprofit organization ArtForce Iowa. In addition to the Middleton Center, Drake Law students have opportunities to gain real-world experience in family law through the Law School’s clinical programs, including the Children’s Rights Clinic, Elder Law Clinic, General Civil Practice Clinic, and Juvenile Delinquency Clinic. Under the supervision of an experienced clinical professor, students handle a variety of cases in divorce and custody matters, domestic abuse, guardianships, child abuse and neglect, and more. This spring, Drake Law School launched the Incarcerated Parent Representation Program, which allows students to represent incarcerated parents whose children are involved in Child In Need of Assistance (CINA) proceedings. The program also provides a wide variety of resources and training to caretakers, attorneys, and child welfare professionals. Drake Law School offers internships for credit in areas including children’s rights, juvenile law, and disabilities rights. In addition, students can gain experience in competition teams such as the ABA Law Student Division Negotiations Team and on-campus organizations such as the Drake Association for Child Advocacy. Read the full issue online (for the family law rankings, see page 44). The publication also recognized Drake Law School for its launch of the Institute for Justice Reform and Innovation. Directed by Drake Law alumnus and U.S. District Court Judge Mark W. Bennett, the institute provides research and training on topics including implicit bias, sentencing reform, and improving trial procedures (see page 8).